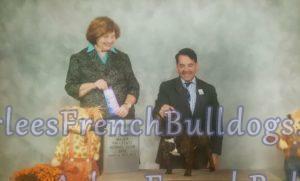 Please contact us for available french bulldog puppies. I have puppies available now and also for our planned breeding. We are conveniently located within about 2 hours drive from San Diego, Orange County, Arizona, Nevada and Los Angeles. I am also within the driving distance from San Fransisco. Please email directly, do not use the email form. I very often do not get emails, if they are sent through the email form.